“One day in the forest, a baby elephant was born” – an elephant called Dill who will capture young readers’ hearts from the start, as a newborn looking out at them through one intelligent eye. Dill’s adventures begin only a few days later, when he becomes separated from his herd. His search to be reunited with his family is a catalogue of misadventure, but at every stage of the journey (bar one, when Dill is teased by a crocodile) he encounters animals who offer help and friendship, even a home – though circumstances always intervene and the journey continues. The narrative progresses through more phases than one usually expects in a picture book, which allows for added depth and some quirkiness, such as Dill playing the trumpet in an animal band and a pair of hornbills taking out their paintbrushes and painting Dill to cheer him up. 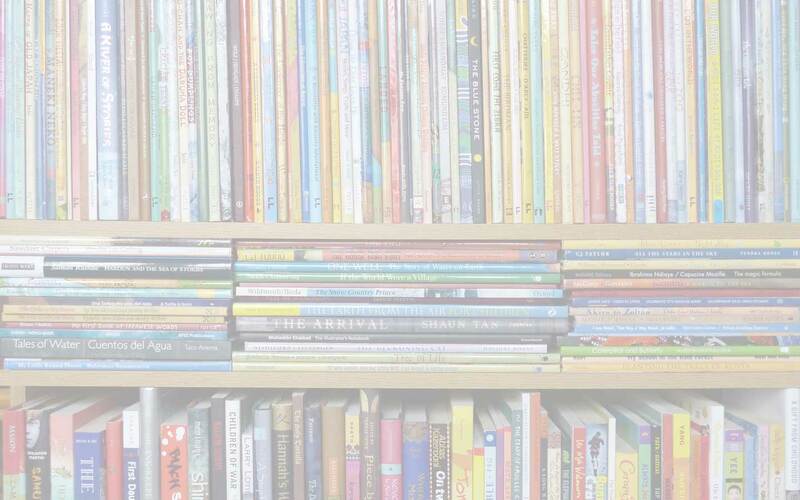 Very clear sequential indications in the text, both of time and cause, mean that even young readers will have no difficulty in keeping up with the story. Dill never needs to despair, although he misses his family, because help is always at hand. The story is firmly rooted in its Malaysian setting: the other animals that Dill encounters include tapirs, who adopt him, and a civet cat called Musang, who becomes a particularly good friend. The landscape includes a night scene lit by fireflies and oil palm plantations as well as jungle. The book’s authors, billed simply as Ming & Volker, are writers Linda Tan and Volker Wolf. The tightness of their narrative is important in Dill the Little Elephant because it allows the dynamism of Yusof Gajah’s distinctive illustrations to shine through, without the lack of uniformity in their style becoming an issue. Each illustration in the book appears to be an apposite response to the emotions evoked by the scene it depicts, so that, whereas it would usually be held as a negative criticism, here the different styles may arouse curiosity in young readers, but they do not detract from the story. In fact, the illustrations explode from the page in a riot of color, with Gajah’s signature lollipop flowers and trees providing an exuberant jewel-like backdrop. As well as being a visual treat, Dill the Little Elephant gives the retelling of a classic lost and found story enough space to round out all the characters that Dill meets along the way, making it a satisfying read and reread for parents and children alike, and leaving an afterglow of the importance of kindness and friendship. This review first appeared here on the PaperTigers.org website in July 2013. 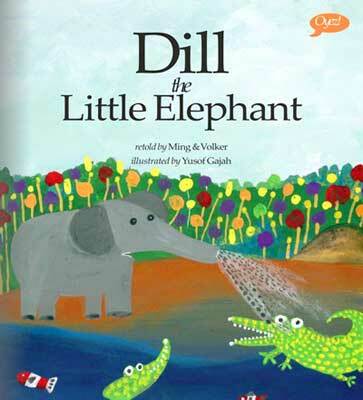 Dill the Little Elephant, Ming & Volker, MWD book reviews, Oyez! Books (Malaysia), Yusof Gajah. Bookmark.